You can’t enter a new year without undoing all the mistakes you made in the previous one. Forthwith my apologies for the missteps of 2018. 1. I still blamed Hillary Clinton for running a poor campaign. She didn’t. She ran the campaign that got her enough votes to win—minus Russian interference, a complicit social media, and gerrymandering and voter suppression on a massive scale. 2. I felt a modicum of regret at having labeled Trump’s basket of deplorables a basket of deplorables. I apologize to them for (as the previous Republican president would say) misunderestimating their deplorability. Supporting gun rights after Parkland, defending the wall after the caravan fiasco, cheering the recent Obamacare ruling which will allow them to get sick and die sooner….“deplorable” works for me. Maybe basket is too genteel. Maybe dumpster. 3. Several times I believed Susan Collins, Bob Corker, Jeff Flake, or some combination of the three would save us—that they would choose decency over party, country over tribe. Then came the Supreme Court hearings and their credibility vanished as fast as a case of beer from Brett Kavanaugh’s fridge. I regret not being a little more savvy regarding their cravenness and hypocrisy. It does appear, however, that last November the voters learned the lesson. 4. I wish I had laughed at Trump more. Most days I was angry, disgusted, or flabbergasted. I should have been amused. Donald Trump is the funniest president we’ve ever had—incompetent to a fault, derelict of almost every duty, and with not even the remotest concept of his own absurdity. And, most important, he has no sense of humor and hates to be ridiculed—always a problem for the ridiculous. I plan to laugh at him more in 2019 and I encourage everyone to do likewise in the hope that “laughing someone off the stage” really works. 5. I wish I hadn’t laughed at Trump so much, especially since, just beneath the surface, terrible things were happening to this country. More methane, more mercury, more hydrofluorocarbons (they’re no longer illegal in cooling units—take that, stupid ozone layer! ), more coal, more fracking on Indian and federal land, fewer restrictions on hunting, and less protection for endangered species. Chlorpyrifos is back (thank you, Dow Chemical) as is lead and coal dust. And the best news of all: plastic water bottles can once again be purchased in our national parks, even after a report proved their restriction had reduced litter. For a full, depressing accounting of the misery foisted on this nation by the Trump administration, read this sorry account from the New York Times. 6. Finally, I apologize for retracting apology #4 so quickly. Again I’m angry, disgusted, and flabbergasted. I shouldn’t have read #5. Donald Trump, lip-service patriot, has once again disgraced our veterans. The day Donald Trump promised to withdraw our troops from Syria, he pointed skyward—apparently invoking veterans who had fought and died—and proved yet again that he has absolutely no shame when it comes to exploiting Americans for political gain. That’s what “they” would have wanted, he said. He and his bone spurs have no idea what “they” would have wanted, but let me hazard a guess: “they” would have wanted to stop the current situation in the U.S. where just over twenty veterans commit suicide every day, while the millions of dollars allocated to help them goes untouched because this president has not filled vacancies in the Veteran’s Administration. Outreach programs, even public service announcement advising veterans where help is available, have been curtailed. The shamelessness of Donald Trump knows no limits—the venality of his recently shuttered “foundation” proves that—but there is something uniquely horrific about dishonoring the memory of people who have given their lives for a country whose very essence he is trying to destroy. Yesterday Defense Secretary Jim Mattis resigned his position, leaving behind a letter that can be interpreted as nothing more than a scathing assessment of his putative commander, while Trump—like some modern-day Lear—raged about the castle screaming about steel slats on the southern border. There have been countless dark days in this presidency, none darker than yesterday. But every time we think we have reached the bottom, Trump hands his flunkies more shovels, and we go a little deeper. And all the while—basically without public outcry—twenty more veterans will mark this day, December 21, as their darkest. A new nation deserves a new name. It’s not the Republican leaders against the Democratic leaders, it’s the Republican leaders against democracy…against majority rule. want our leaders to address climate change. support a woman’s right to choose. favor restrictions on lenders to avoid a repeat of 2008.
support rules that make voting easier. 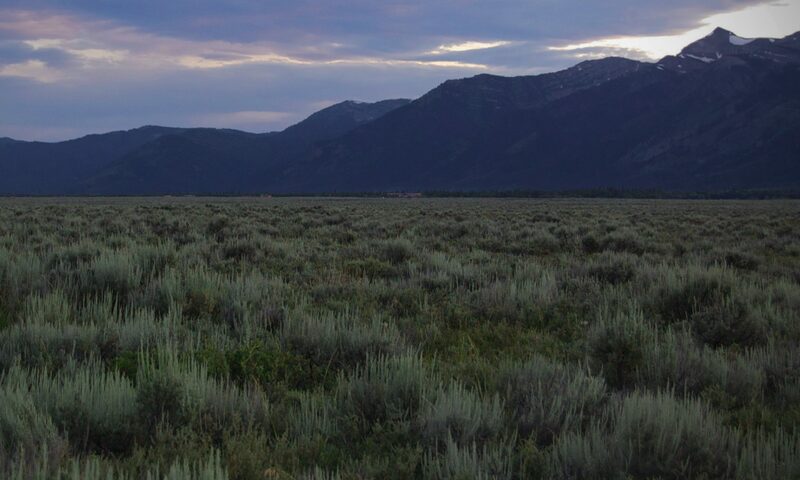 oppose drilling on federal land. understand the need for improved infrastructure. oppose the mistreatment of immigrant children. And, lest we forget, the majority of Americans favored Hillary Clinton for president. You can add many more items to that list. Suffice it to say that Republicans take the opposite position on all of them, and in short find themselves (1) out of step with their own country and (2) tethered to a leader whose incompetence is matched only by his mental instability. But they plow ahead. Now, when Republicans lose elections because the majority of Americans want them out of office, they rewrite the rules (cf. Wisconsin, Michigan) to ensure the fact that the majority of voters will lose out anyway. This is no longer party politics: this is an attack on the same democratic principles that generations of veterans have fought for and generations of public servants have striven to maintain. If we no longer live in a country where majority rule means anything, what do we call this new nation? America has already been taken. The words of someone who has been there and doesn’t want to go back. As our home slowly ages, more and more workmen arrive at our door, many of them having emigrated here for a better life. They’re always interesting to talk to, though my basic ignorance of foreign languages usually obviates any long discussions. Last Friday’s appointed arrival presented no such difficulties. The man had been in this country for decades, having emigrated from eastern Europe when it still struggled under Communist control. He had lived in a country where nationalism was rife, and where the government spied on people who tried to maintain their individuality. I knew enough about world history and about totalitarian rule not to have been surprised by his stories, and I thought I might hazard a comment when he finished—that there are plenty of people in America today who would be happy if our government did more of that. He shook his head and mentioned the “clown in the White House” and we were off to the races. He had read Dostoevsky as a youth and it had left an impression on him. “His novels are full of soulless characters,” he said, “and the president is just like them.” We talked about the little girl who died in Texas (and about whom I wrote previously) and how only people without a soul could abide such a horror. We lamented the ongoing, relentless damage to the environment and the assault on the essence of this country by people we’ve never heard of doing things that never make the headlines. “One by one they go to jail,” I said, but he shook his head. The damage has already been done. About authoritarianism he was blunt: “They say it can’t happen here,” he said. “Believe me, this is how it starts, and when nobody says anything, it’s hard to stop.” He’d argued with friends and even abandoned some of them who refused to understand. As for me, I’ve never lived in any other country. I think I know America, and by that I mean I understand the changes and variability of a country this vast led alternately by two conflicting philosophies. It has always survived and balanced out. But for someone who has witnessed totalitarian rule to issue a warning like his was disquieting. In the end, we didn’t talk that long: he had work to do and I had another check to write. But if you think our country is stumbling down rutted paths we’ve never taken before, and if there are times when you sense an inevitable doom emanating from the Trump White House, you’re not alone. It’s not a liberal truth or a Democrat truth—it’s just the truth. In the early morning she began having seizures. When emergency personnel arrived, they measured her body temperature at 105.7 degrees. She was transported by helicopter to Providence Children’s Hospital in El Paso where she died within 24 hours. There, in digest form, is the biography of a seven-year-old Guatemalan refugee who, with her father, came to America to escape the horrors of their own country; instead they found new ones. We don’t know her name. We don’t need to. Here during the Christmas season her story evokes the Dickensian England of Oliver Twist and A Christmas Carol, a country where workhouses separated families as America does today. Where the father’s responsibility lies is a relevant point, of course; but we can easily imagine a desperate man afraid to complain about anything for fear of having their request for asylum rejected. Remember the reaction to Oliver Twist’s simple request: “Please, sir, I want some more.” Spoiler alert: he didn’t get any more. Of course even to muse that a dolt like Donald Trump ever read a Dickens novel is ludicrous, but Jeff Sessions is well educated. That he patterned his treatment of refugees after nineteenth-century work houses is well within the realm of possibility. And now, in December 2018, with our feeding frenzy accelerating over Trump’s many unethical and perhaps criminal misdeeds, we hardly have time to consider only one refugee from Guatemala. But let’s at least remember that her death is the legacy of Jeff Sessions as well as the man who appointed him and gave him carte blanche to fulfill his barbaric mission. Yes, there is plenty of blame to go around—Trump, Sessions, ICE, the CBP—but much of it is ours. Yours and mine. Face it, Trump and his lawyers—as besieged as they may appear—can drag out these court cases forever, far longer than a seven-year-old girl can survive indifference and neglect. We can’t speed up the Mueller investigation, nor can we look to Michael Cohen’s imprisonment to define us as a nation, but our willingness to let a young girl suffer and die speaks volumes. Even under siege, Trump continues to dismantle the world we had thought we lived in. Those of you lamenting the fact that Trump’s America seems to be wandering about alone in the world without direction, without friends, without allies… rejoice! At the recent climate talks in Poland, America proved we could play nice with others—as long as the others are Russia, Saudi Arabia, and Kuwait. Together these four nations issued a statement agreeing to “note” but not “welcome” the new report from the Intergovernmental Panel on Climate Change, which placed a 2030 deadline on nations to cut fossil fuel use in order to forgo many climate dangers. Oh yes, and they officially thanked the scientists for their work before opting to ignore them. At pretty much the same time, Trump is preparing to alter wetlands conservation rules initiated by Bush 41. It will “help” farmers by allowing them to use pesticides that may run off into streams and rivers without actually worrying that their pesticides will run off into streams and rivers. Phew, what a relief for former worriers..
And a new report states that the Arctic, between 2014 and the present, is warmer than at any time in the modern era. Individual states and municipalities continue to fight Trump—to buffer his attacks on clean air and water by legislating on the local level. But until he’s out of the White House, any inroads we made during the past decade of awareness will be lost on this incumbency of ignorance. Most have already been lost. We look at the Mueller investigation and pray for punishable offenses, hoping for a resignation or impeachment. But the damage Trump is doing to the earth, to our health, and to our safety—though it breaks no rules—will do more harm for a longer period than any payoff to a prostitute, profits from a hotel, or collusion with an enemy. Impeachment may be the only way to avoid a constitutional crisis. There’s a widespread belief that, once the Democrats take control of the House, the worst thing they could do is initiate impeachment proceedings against Donald Trump. It would cause, some say, a constitutional crisis. I was drinking that Kool-Aid for a while. I’m no longer thirsty. First off, the fear of a constitutional crisis no longer means anything: we’re in the midst of one every day. Take, for instance, the murder of Jamal Khashoggi. This is not some normal news item that we listen to and then move on. Khashoggi was butchered in front of witnesses; yet the Trump White House continues to do everything imaginable to bury the story and to preserve our economic relations with the morally vacuous plutocratic leadership of Saudi Arabia. Last week John Bolton said he wouldn’t listen to the purported recording of Khashoggi’s murder because he didn’t understand Arabic. Now if this had been a line from The Simpsons, we’d have all had a good laugh. But it wasn’t. Pompeo, and even the formerly somewhat respectable four-star general Jim Mattis, have thrown their weight behind Trump and his assertion that Saudi money supersedes the life of a reporter—not a surprise considering Trump’s disdain for the press and this country’s continuing to wink at the slaughter of innocents in Yemen. When institutions fail, we have a constitutional crisis. We don’t need soldiers in the streets or bread lines or mass incarceration—all we need is a government that no longer functions or a president who goes his own way without regard to the rule of law as laid out in the Constitution. Of course it’s more complex than that, but we can all see where this is headed. At this point an impeachment might forestall rather than induce a constitutional crisis. How many lumps of coal in how many stockings will slow down this environmental disaster? It would be difficult to find a weekend that brought more dire environmental news than the past one. And we probably could not have expected anything more given the natural calamities the world has faced over the past few months, from the floods in Venice, to the hurricane winds on Florida’s panhandle, to the deadly fires in California. This past weekend the Trump White House released an extensive and authoritative report on our worsening climate, predicting century-long losses in the hundreds of billion of dollars to the world economy, a good share of which will be borne by Americans. I point out that last fact not because we’re better than the rest of the world, but because Trump’s avowed America First philosophy will not save the American farmers whose crops are destroyed by endless droughts, the American ranchers whose herds cannot be sustained because of water shortages, or any American dependent upon food and water. Unless The Walking Dead is a documentary, that’s all of us. The Trump White House will bury the report—the president has already said he doesn’t believe it—but neither that report nor its interment constitute the worst news of the weekend. That honor goes to a New York Times story about the energy source we thought was on the way out until resurrected by the president. If you guessed coal, you win! Then you lose. In short, coal is dirty, and when burned constitutes the worst of the fossil fuels. But it’s abundant and, most of all, it’s cheap. In Asia (especially India and Vietnam, but China also) people in outlying areas for whom electrical power was always a crapshoot can now flip a switch and know their wells will work, or their fans will spin, or their factories will hum. Power from coal has changed their lives. It’s hard to reproach them. And coal is political—in Germany, Poland, even Australia, right wing leaders play on the importance of coal mining as good honest labor. New mines are promised; new coal-fired plants are constructed. Even a decade ago this drift away from clean energy seemed unimaginable, but here we are; and in America we have a leader fabricating the resurgence of coal while clean energy costs drop around him. That White House report on our worsening climate may turn out to be, in the end, optimistic. We seem to have learned little from climate scientists and from our own observations; and America—which despite the ongoing idiocy of the president is still held in high esteem globally, has instead of setting an example and a goal for other countries to achieve, officially sanctioned the one fuel that can speed our own demise. If you guessed coal, you win! And then…. Former Connecticut governor John Rowland’s basic claim to infamy will be his resignation and prison time, but it was twenty years ago that he was involved with another fiasco—the master plan to move the New England Patriots to Hartford. Yes, that Hartford. In Connecticut. Even the thought of it created more excitement in our state than any event since 1961. That’s when Troy Donahue came to Old Saybrook to film Parrish. No one under ninety will get that reference, but trust me, it happened. The other mastermind behind the Patriots’ move was Robert Kraft, the team owner. But his masterful mind was more masterful than Rowland’s; in fact, all Kraft did was blackmail Massachusetts into building him a new stadium. We were left with the Whalers…well, their memorabilia. Pucky the Whale had relocated to North Carolina the year before. The Patriots non-move was a masterful screwing by an amoral organization, or what we now call business acumen. Bezos is worth north of $150 billion. Let that sink in. 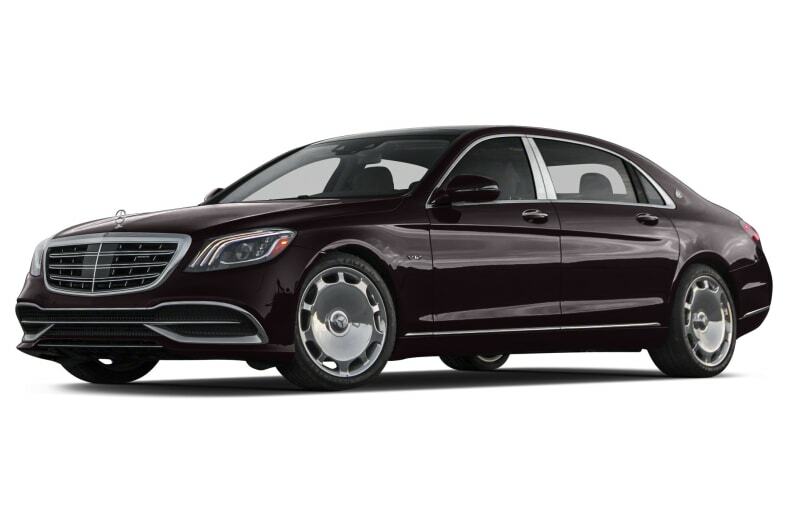 I can present all kinds of examples of what that means, like if you have 750,000 Facebook friends, you can buy each of them a Mercedes-Maybach S 650 (see photo). I don’t begrudge him his money. But for him to demand tax breaks from his new city-victims is beyond unconscionable. Just over $200,000. I sprung for the phone holder. Now some say building in New York will finally improve the City’s transportation systems and other infrastructure problems, even improve its schools. Those would all be positive steps, but the more than $2-billion-tax incentives should have gone the other way, from Bezos to the cities themselves. And one of New York’s increasingly dire problems, affordable housing, seems destined only to worsen when Bezos provides low-paying jobs for people who cannot afford to live within twenty-five miles of the headquarters. The holidays approach, and how I get through them without Amazon is beyond me. Worse, a boycott of the company or a suspension of my Washington Post subscription (Bezos owns that paper) hurts only the people at the bottom of the pyramid—the ones who eke out a living sorting packages or delivering newsprint. John Rowland—and by extension—every resident of Connecticut was snookered real good twenty years ago. Today we have a lot of company.